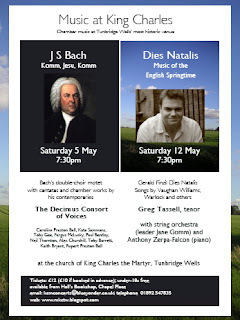 Here are advance details about our two concerts in May, 2012. 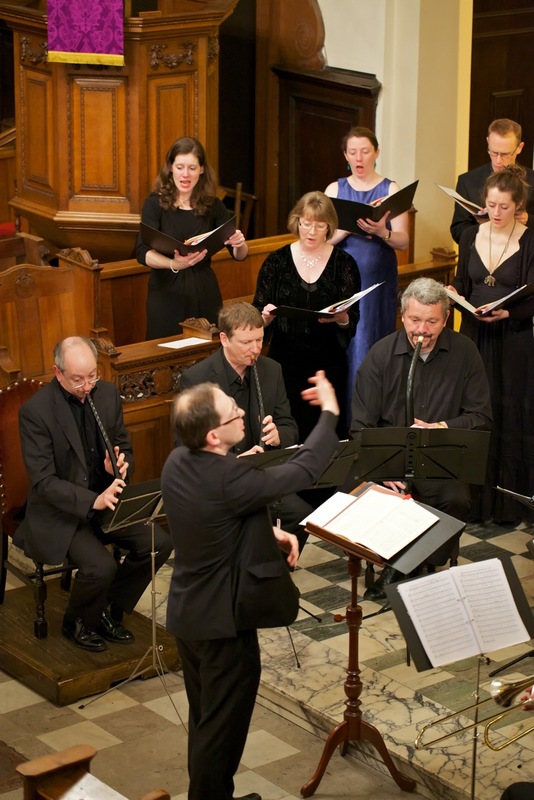 The Decimus Consort of Voices perform some exciting solo and ensemble repertoire of the Baroque period, including one of Bach's challanging double-choir motets. Greg Tassell (tenor) sings the wonderful song cycle by Gerald Finzi, accompanied by a string orchestra (leader, Jane Gomm). He will also be accompanied by Anthony Zerpa-Falcon in some English songs. Tickets for each concert are available from kcmconcerts@blueyonder.co.uk or from 01892 547835, at £10 if purchased in advance and £12 on the door. Here are some pictures from the 'From Venice to Dresden' concert on 18 March, which was enthusiastically received by the audience. "Congratulations on the concert last Sunday- an amazingly exciting and vibrant ensemble, - thoroughly enjoyable." "What a wonderful concert you and your group gave us. Beautiful singing and playing. The whole thing was fantastic." Many thanks to everyone who attended, participated, and helped behind the scenes, including Hall's Bookshop and Il Vesuvio restaurant! For this concert, the choir will be joined by I Musici Della Contessa, a small instrumental ensemble comprising cornetts, sackbuts, curtal and continuo. Owen Rees is Fellow and Director of Music at The Queen’s College, Oxford. 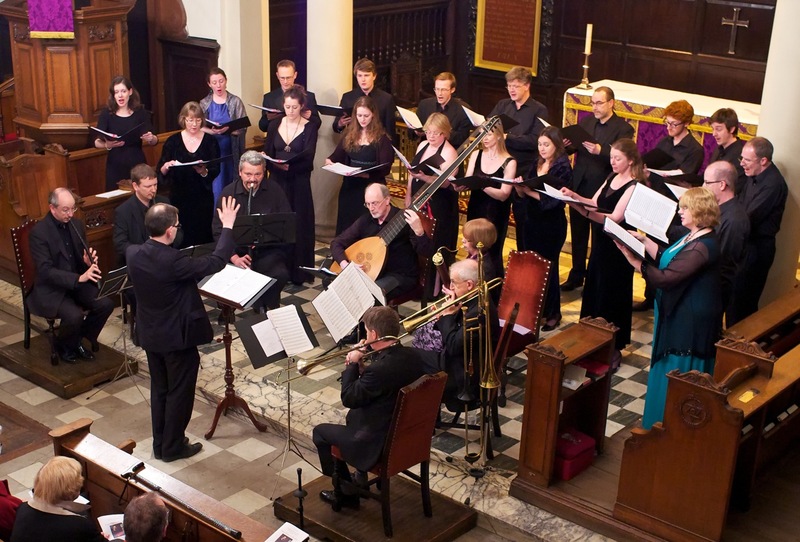 Through his work as director of the Cambridge Taverner Choir, Contrapunctus, and The Queen's College Choir he has brought to the concert hall and recording studio substantial repertories of magnificent Renaissance and Baroque music, including many previously unknown or little-known works from Spain and Portugal. His interpretations of these repertories have been acclaimed as ‘rare examples of scholarship and musicianship combining to result in performances that are both impressive and immediately attractive to the listener’, and he has been described as ‘one of the most energetic and persuasive voices’ in this field. 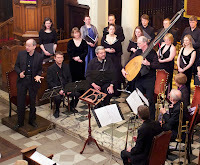 He has conducted at festivals in the UK, USA, and throughout Europe, and is increasingly busy as a leader of workshops on performance of Renaissance polyphony. He has broadcast on BBC Radio 3 and 4, and on Portuguese, Spanish, and Norwegian radio. He has released CD recordings on the Hyperion, Herald, Guild and Unicorn Kanchana labels, to consistently high critical acclaim.